Discolored teeth keeping you from flashing a smile often? Fret not if you cannot afford those pricey professional whitening solutions as there are a handful of things that can help you attain dazzling pearly whites without ending up broke. So if you’re ready to look younger, lovelier and friendlier, continue reading. Colas, dark-colored juices, red wine, black tea, coffee — all of them can leave your teeth discolored. If you’re a smoker, ditch your habit. Quitting smoking is not only goof for your smile but your overall health too. Much of those oral bacteria that can cause bad breath and plaque buildup are on your tongue. Experts recommend for you to use a tongue scraper rather than a toothbrush because it’s better at doing the job. Fibrous and crispy foods help naturally make your teeth spotless as you munch on them like raw carrots, apples, pears and celery sticks. Eating plain popcorn helps improve your smile as you watch a blockbuster. Combine 2 parts water and 1 part apple cider vinegar. Use this mixture as a mouth rinse before you brush your teeth to soften plaque and stains that mar your pearly whites. Once a week, skip grabbing that tube of toothpaste and instead dunk your damp toothbrush in a box of baking soda and brush as you would. 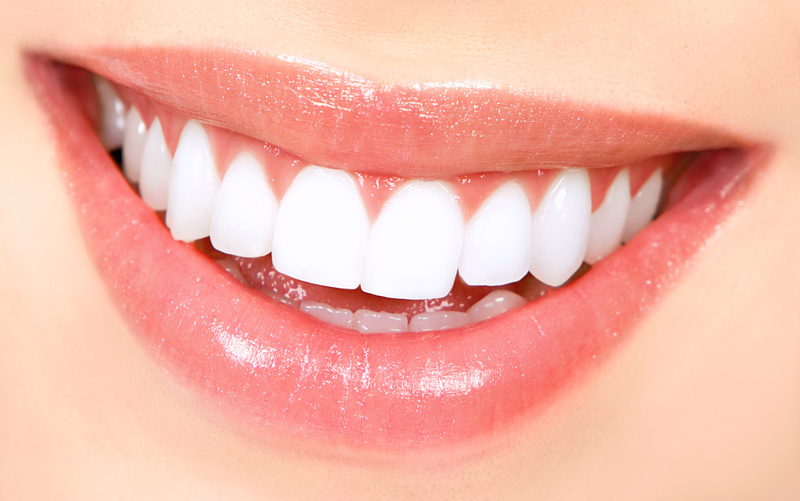 Baking soda helps remove discoloration and polishes your teeth really well. Using dental floss helps remove plaque that eventually causes tartar, something which yellows your pearly whites. It’s a good idea to practice flossing without a mirror so you may do the act in bed, in your car or at your desk. Oranges, strawberries and other citrus fruits may be packed with vitamin C but their acidity may weaken the enamel, thus making your teeth more prone to discoloration. Gargle with water right after eating sour fruits. Simply place a spoonful of coconut oil in your mouth and swish it between the teeth for at least 5 minutes. Spit and brush. You may also use it as an alternative to toothpaste or apply on your teeth with a dry and clean cloth. The natural acidity of the inner side of the peels of these citrus fruits helps soften stains and polish teeth. It’s important to remember to rinse your mouth thoroughly with water to prevent the enamel from melting and getting eroded. Using a fork, mash 4 to 5 strawberries. Apply the resulting paste on your teeth and leave it there for a few minutes. Rinse off with water afterwards and enjoy gleaming and white teeth instantly. Any other DIY whitening solution you swear by? Share it and help encourage others to smile more often!